Yesterday, the silver throne jubilee of Prince Hans-Adam II was celebrated with a concert and a mass at the Kathedrale St. Florin in Vaduz. 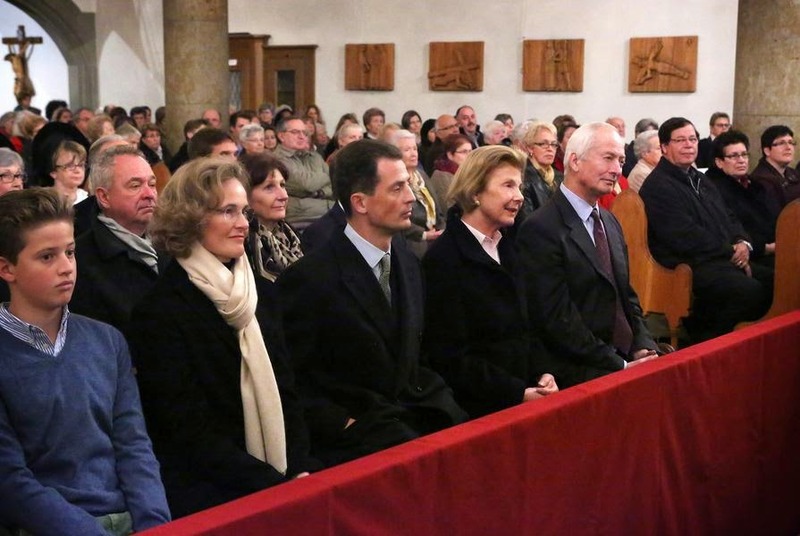 Among those present were the Fürst himself, his wife Princess Marie as well as Hereditary Prince Alois and Hereditary Princess Sophie with their youngest son, Prince Nikolaus. The concert and subsequent mass included music by the cathedral's choir, soloist Karl Jerolitsch and wind players. Pieces by Franz Schubert, Josef Gabriel Rheinberger, Wolfgang Amadeus Mozart and Georg Friedrich Händel were the festive musical framework of the mass in the fully occupied church. Another picture is available at Volksblatt.